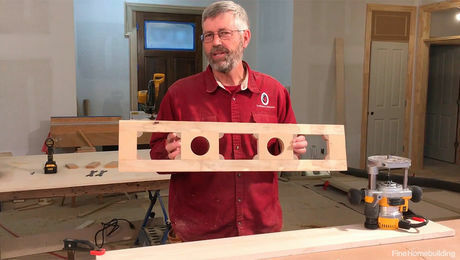 Before I made this jig, I checked the fit of my coped crown molding the conventional way by climbing the ladder and holding the coped piece in place against the installed section. 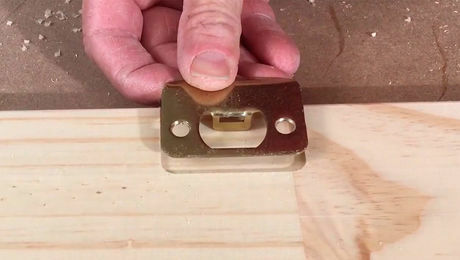 This method told me that it was either a good fit or that there was a gap, but it failed to tell me where to remove the material to eliminate a gap. All I knew was that there was a high spot or spots somewhere on the hidden coped surface. I then had to locate the high spots and remove them by trial and error, while chanting those special words carefully selected by carpenters to reflect their degree of frustration. 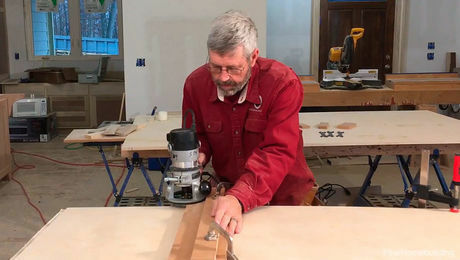 With the fixture shown in the drawing, I am able to check my coping without climbing a ladder, and if it is not a good fit, I am able to see exactly where and how much material needs to be removed. 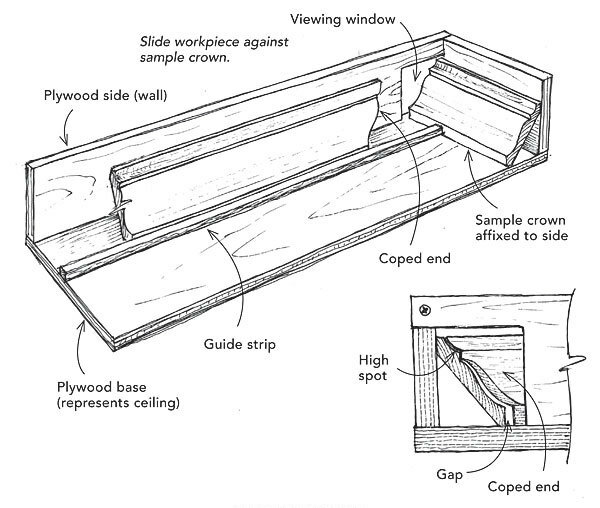 I simply slide my coped section into the fixture until it engages the sample piece of crown, as shown in the drawing. If a gap exists between their front faces, I view the hidden coped face through the viewing window. This enables me to identify where and how much more fitting is required by the amount and position of the light shining through the gap. (High spots allow no light to show through.) I usually get all the high spots on the first go. 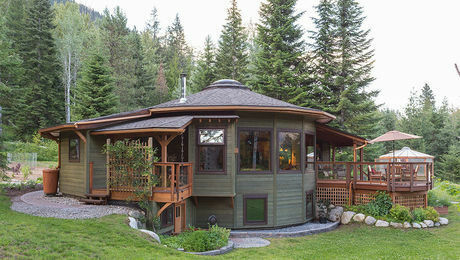 The fit is confirmed by a quick recheck on the fixture, and it’s up the ladder for installation. 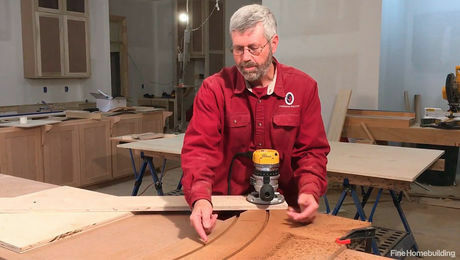 The installed sample and the guide position can be changed to suit the particular crown molding being installed. 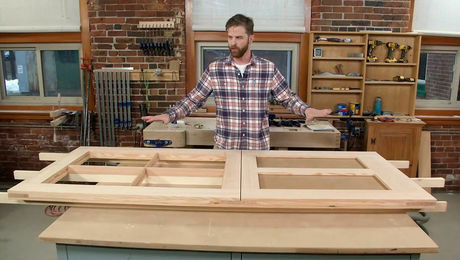 Although I use separate left and right jigs, they can be modified easily to check both left- and right-hand coping by duplicating the window component— representing a wall and made of plywood—and attaching it to the front edge of the base together with the installation of a second guide. Brilliant solution. One improvement might be to make the fixed sample piece's backstop/frame be pivotable/hinged at the "wall" corner. This would allow for accurate scribing to walls that aren't 90 degrees.